It is now 3:00 PM HAT Time on Sunday, April 21, 2019. Relay Online Registration closed at 11:59 PM on Wed, Dec 5, 2018. US swimmers must be 2018 U.S. Masters Swimming registered members on or before the day of their swim. Entries will be verified before results are accepted. Foreign swimmers must be a member of an equivalent FINA member organization on or before the day of their swim. Foreign entrants must submit a copy of their organization’s 2018 registration card to the event director by email by November 25, 2018. Foreign swimmers are not eligible for USMS records or All-American status. Individual Events: Men and women compete separately in five-year age groups: 18-24, 25-29, 30-34,...., 100+ The swimmer's age on December 31, 2018 determines the age group, therefore each swimmer mahy only swim in one age group for the 2018 USMS 3000/6000 ePostal National Championship. 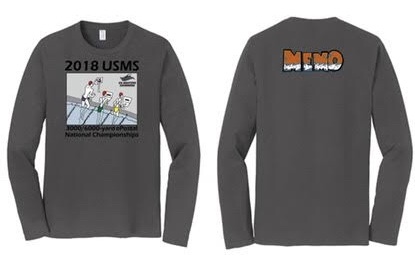 Relays open on November 28, 2018 and will be displayed by USMS club via Club Assistant, and will show all the individual entries submitted. 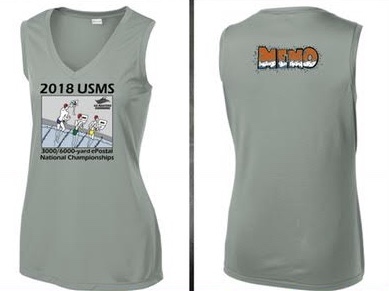 You will only be able to view your USMS club’s entries. Championship Patch: First place finishers in each individual and relay age group also will have the option of receiving a USMS Long Distance National Championship patch. Club awards will be recognition in the final results, physical awards will not be provided. Records: Completed split sheets for individuals who think they have broken a national record must be received by the event director by November 25, 2018, via mail or be scanned and emailed to swimmingismylife.marcia@gmail.com. Results: Complete results will be available online. Preliminary results will be posted at USMS.org and at PacificMasters.org by December 7, 2018, and will be available for two weeks. All corrections must be sent to the event director during those two weeks. Final results will be posted by December 31. If two or more swimmers report the same time, a tie will be declared. The 2018 USMS rules govern these events, including rules regarding swimwear. Online Registration closed on 11/25/2018.